Phonetic readers contain phonetically transcribed texts which you have to read properly. Not only you have to know how to pronounce phonemes, but you also have to pay attention to prosody, that is, to the rhythm, stress, and intonation of your utterance (spoken sentence). During my English Language studies one book was very useful in Phonetics classroom, and helped me and other students to practice spoken English word. After introductory classes about different phonemes in English and detailed instructions on how to pronounce the phonemes, we began practicing. We would listen to our teacher and her perfect English accent that flawlessly conveyed every syllable in the Reader, and then we would practice our pronunciation. The first attempts were unsatisfying, and we had to work hard for the final exam. You are probably wondering what we used in classes? We used great little book titled Advanced Phonetic Reader, written by J. D. O’Connor and published by Cambridge University Press. The book consists of three parts. The first is an introduction to different utterance boundaries (pauses in the speech) and tone marks (varying of the stress). The second part consists of phonetically transcribed texts. This is the most interesting part of the Reader, and it contains transcription of different spoken styles: declamatory, formal colloquial, colloquial and familiar. See the pictures bellow for the samples, click to see the larger version. The third part of the Phonetic Reader contains “normal” text, that is, text previously written by using phonetic symbols now is printed in orthographic characters. It is great to read the normal text later and feel how you acquired proper intonation and stress for each spoken style. 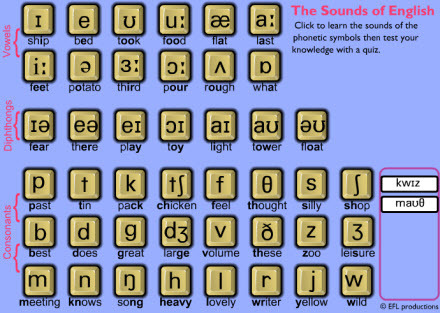 I would really recommend the Advanced Phonetic Reader to all aspiring English learners. It is such a great resource of knowledge and skill that one always returns to. I am not sure if you can buy it online, but you might want to check.